Many of us know someone or have been in a situation in which we have been drinking and are now faced with the prospect of driving. Depending on various factors it may take different people different amounts of alcohol to reach the blood alcohol level of 0.08 or higher, which makes it illegal to drive in the 50 U.S. states. According to Mother’s Against Drunk Driving (MADD) an estimated one million people are convicted of drunk driving every year. Of these about 279 000 are getting interlocks installed in their cars. Interlocks save thousands of lives every year. Before the vehicle can be started the driver must exhale into the device. A blood alcohol level higher than the pre-programmed concentration would make the vehicle inoperable by the driver. According to the Center of Disease Control and Prevention, ignition interlocks reduced repeat drunk driving offenses by 67%. Even the very first drunk driving offense can have serious consequences. Having a DUI on your driving record has serious consequences which may affect your insurance premiums or show up during a background check for work. The best way to deal with a DUI is to prevent it in the first place. 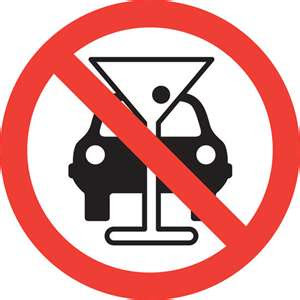 When going out please limit yourself when drinking, find a designated driver who isn’t drinking, or simply call a cab. An ounce of prevention is worth a pound of cure.